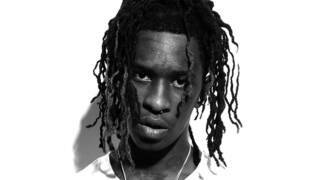 Young Thug is an American rapper, known for his eccentric vocal style. He first gained attention for his collaborations with rappers Rich Homie Quan, Cash Out, Future, Birdman, Shawty Lo and Gucci Mane. In 2013, he signed with Gucci Mane’s 1017 Records, and released his label debut mixtape 1017 Thug in 2014. Born on August 16, 1991 in Atlanta, Georgia, USA, his birth name is Jeffery Lamar Williams. He attended elementary school up to sixth grade, but was expelled from school after breaking his teacher’s arm and was put into juvenile detention for four years. He got engaged to businesswoman Jerrika Karlae in April 2015; however, they broke up in 2017. He had six children (three sons and three daughters) by four different women. Siblings: Has 10 brothers and sisters. *He was born on August 16, 1991 in Atlanta, Georgia, USA. *He is the tenth of eleven children. *His real name is Jeffery Lamar Williams. *He has collaborated with artists such as Gucci Mane, Waka Flocka Flame, Cash Out, Birdman and Richie Homie.